The heart and soul of the pod! Lauren and Jesi work their way through the classic series recapping the events of each episode, infusing the discussion with cultural relevance from then and today! Currently in Season 2! Join us in conversation with the cast and creators of both the classic and revival series! Highlights include: Creator Diane English, star Joe Regalbuto, director Barnet Kellman, and more! The gals sit down to chat about the new revival series in a unique, thematic discussion format! Jesi and Lauren are talking Murphy Brown and nerds this week with Season 1, Episode 17 "My Dinner with Einstein." It’s 2018 and the Gals are talking US/Russian relations...only way back in 1989! Jesi and Lauren are thrilled to bring you a Two-Part Interview with Joe Regalbuto a.k.a Frank Fontana! Jesi and Lauren briefly chat about the new Murphy Brown announcements via last week’s CBS Upfront presentation, which included a revival trailer, air dates, and Lauren shares a news story about AOL emails in the 21st century. Join us! 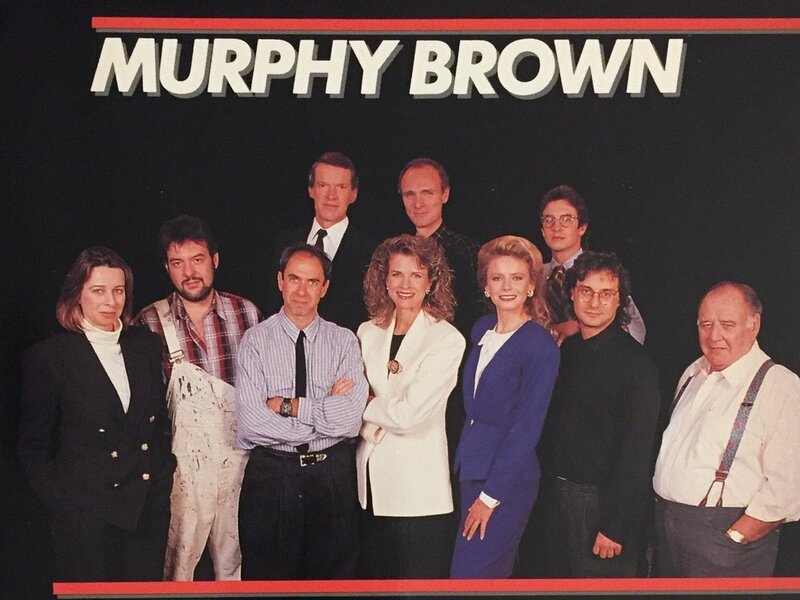 The gals are excited to celebrate a belated Mother’s Day with Colleen Dewhurst’s first episode of Murphy Brown (her Emmy Winning role as Murphy’s mother: Avery Brown, Sr.) written by series creator Diane English. The gals are thrilled to welcome one of the original Murphy Brown writers to the show: Russ Woody (“Cybill,” “Becker,” “The Middle”) for a two-part interview! Jesi and Lauren dive head first into the beginnings of “Trash TV” as they cover Season One, Episode 14: “It’s How You Play The Game” written by Russ Woody (Season One’s “Nowhere To Run” & “Kyle”)! 1.12 Why Do Fools Fall in Love? Jesi and Lauren are back to chat Season One, Episode 12: “Why Do Fools Fall in Love?” written by friend of the pod, Korby Siamis. Jesi and Lauren are back to chat Season One, Episode 11: “Off The Job Experience” written by Tom Seeley and previous guest Norm Gunzenhauser! The gals are thrilled to welcome one of the original Murphy Brown writers (Seasons 1-6) and later Executive Producer (Seasons 5-6): Steven Peterman! The time has arrived for the gals to chat about Leslie Jordan’s (“Will & Grace”, “Boston Legal.”) episode of Murphy Brown! 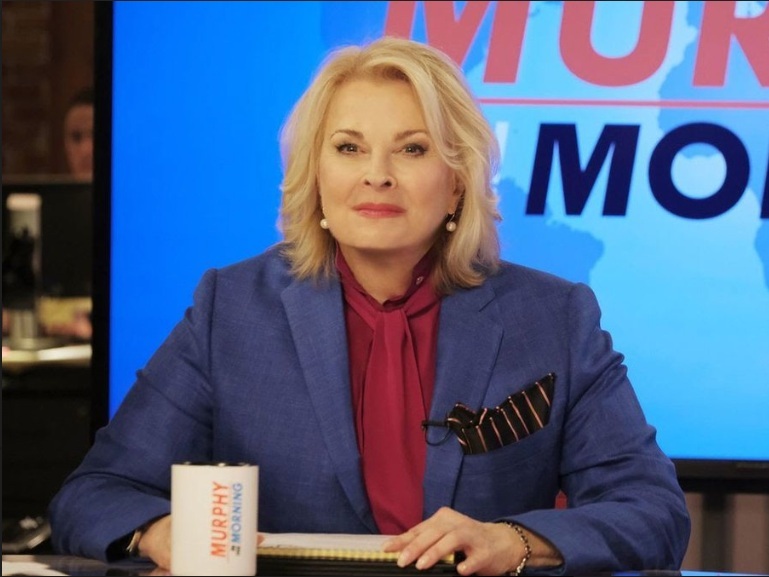 Lauren and Jesi are excited to chat about a pivotal episode, according to Diane English, in the development of Candice Bergen as Murphy Brown! It’s the first Murphy Brown episode of 1989 and the first penned by writing partners Denise Moss & Sy Dukane (“Frasier” “Roseanne”)! Jesi and Lauren launch head first into the seventh episode of Season One and how the episode’s original filming changes their entire perspective on re-watch. Exciting news to report in the land of Murphy Brown! Lauren & Jesi chat about the new Murphy Brown revival news at CBS!!! Jesi & Lauren chat about Season 1, Episode 6 “Baby Love” by friend of the podcast Korby Siamis (“The Middle”; “My Sister Sam”) as Frank and Murphy decide to try and have a kid together. The gals are thrilled to welcome one of the original Murphy Brown writers to the show: Norm Gunzenhauser (Seasons 1, 2, 8, 9, 10)! It’s that time of year! A TV tradition since the dawn of the 'tube: the Christmas Episode! Jesi and Lauren go deep into Murphy Brown’s first Christmas (and Hanukkah) episode, “Murphy’s Pony,” written by series creator, Diane English. This week, Lauren and Jesi chat about a pod favorite, Season 1, Episode 4 - “Signed, Sealed, Delivered” - written by series creator, Diane English and introducing the character of Jake Lowenstein.